AS part of a forward-looking strategy, the NECF Women's Commission has been looking at ways to invest in the lives of women aged between 20 and 35. One of these approaches include a series of leadership seminars that women of the next generation can benefit from. We envisage that this will not only help younger women in their personal growth, but it would see many strong women rising up to take leadership roles. This would be in sync with the larger NECF agenda which is to strengthen the Malaysian Church at large to engage in nation-building. In line with this, the Be The Best That You Can Be Seminar for Young Women was held on 20 Oct 2012. Twenty-three participants from a few churches in the Klang Valley attended the day-long seminar held at the NECF office. The opening ice-breaker enabled each participant to get to know new friends from other churches. This was followed by a short time of worship before the keynote speaker, Juwita Suwito, addressed the participants. The well-known Christian artist shared personal stories from her life, like how God helped her overcome her fear of failure. She motivated the women by telling them to bring their "seed" dreams before God so that they can recognise His Hand in charting their course of life. After Juwita's session, the participants were given time to write "love letters" in which they expressed their interests and desires to God. This exercise helped them define their hopes and expectations of how attending the seminar could become a stepping-stone in their journey of serving God. 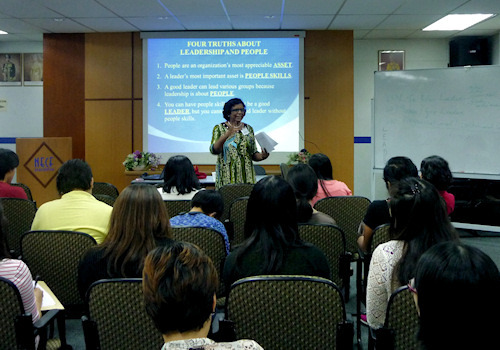 The Women's Commission chairperson, Grace Hee, then led a session on Leadership and Daughters of Destiny in which she shared six keys to successful leadership. Interspersed with tea breaks, lunch and activities, two other commission members took the remaining three sessions. 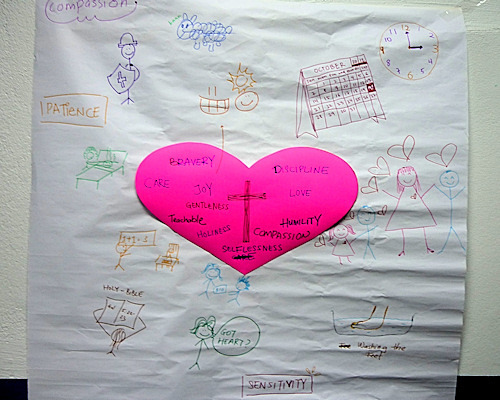 The participants then worked in teams on a visual entitled "The heart of a leader". This activity helped them itemize some of the key areas they as leaders needed to work on. There was also a time for personal reflection during which the women wrote out a personal Action Plan on how they would apply the key lessons of the seminar. The last session, a question-and-answer forum, proved very helpful to many of the women as they raised questions for the six commission members who made up the panel. The participants were exhorted with a blend of Scriptures and personal experience. 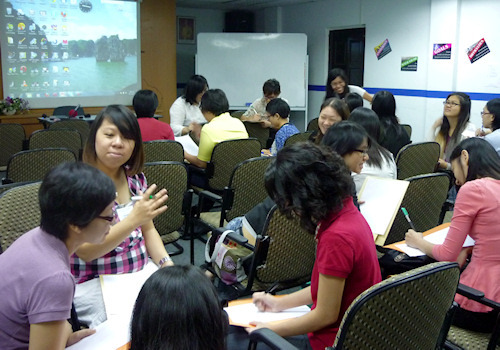 The seminar then ended with prayer for each participant. Feedback from the Seminar has been positive, and is telling of a spiritual hunger for more of such sessions. The Women's Commission continues to pray for effective continuity of this leadership seminar for women of the next generation.